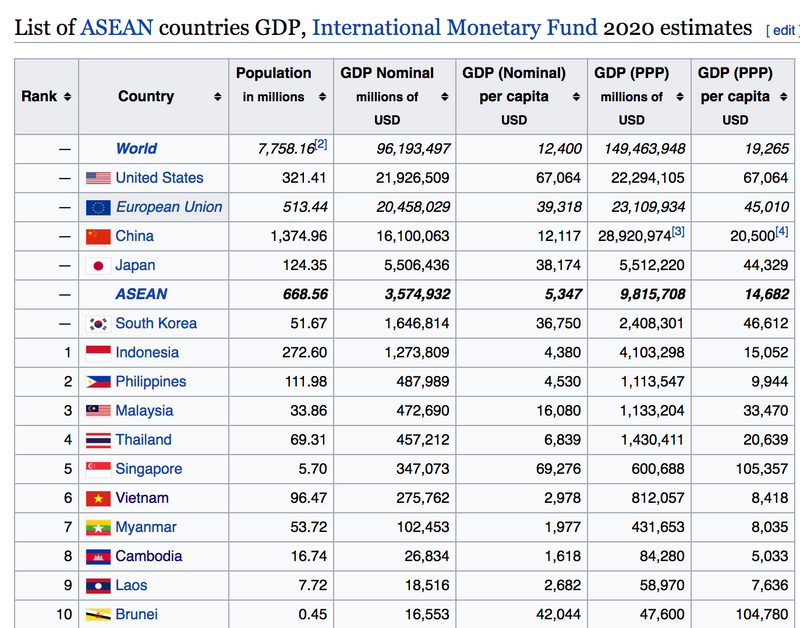 Four ASEAN Countries will become trillion dollar economies by 2030 Southeast Asia is expected to be one of the world’s fastest growing regions, with four ASEAN nations – Indonesia, Malaysia, the Philippines and Thailand – expected to join the ranks of Asia’s group of nations that have a GDP exceeding $1 trillion by 2030. “This will help to increase the geopolitical and economic importance of ASEAN as a political and economic grouping in international diplomacy and the global dialogue on trade, investment and international standards-setting,” Biswas said. By 2030 the ASEAN economy is predicted to eclipse Japan’s, and be the fourth largest single market after the EU, US, and China. The Asia Development Bank (ADB) predicts the size of the middle class in South East Asia will rise from 24% of the population in 2010 to 65% in 2030. Meanwhile the ASEAN frontier markets of Vietnam, Myanmar, Cambodia and Laos are forecast to continue to grow rapidly. Vietnam will to grow at a pace of around 6.5 percent per year over the medium term, with rapid growth in manufacturing exports of electronics and garments driving industrial development. The new EU-Vietnam Free Trade Agreement and the planned TPP deal will significantly boost Vietnam’s market access to the EU and US for its manufacturing exports by reducing tariff barriers substantially. The Malaysian economy is forecast to achieve a per capita GDP of USD 20,000 by 2025, with total GDP exceeding $1 trillion by 2030. The structure of the Malaysian economy will continue to shift towards higher value-added manufacturing and services. Strategic growth industries in the services sector will include financial services, healthcare, education, commercial aviation, tourism and the IT-BPO industry, as Malaysia becomes an increasingly important services-exporting economy for Southeast Asia. In 2030, the population of Malaysia will reach 36.0 million, an increase of 22.6% from 2012. The Philippines has also shown rapid GDP growth averaging around 6 percent per year over 2011-2015, with GDP growth of 5.8 percent per year forecast over 2016-2018. “The total size of the Philippines’s economy is projected to grow from $300 billion in 2016 to $700 billion by 2025, and a $1 trillion economy by 2030,” Biswas said. “This will make the Philippines one of the leading emerging markets in Asia”. In 2030, the population of the Philippines will reach nearly 128 million, an increase of 32.1% from 2012. The Indonesian economy is the largest economy in Southeast Asia and is one of the world’s largest emerging markets. Indonesian GDP forecast to grow at 5 percent per year over 2016-2020, supported by strong growth in consumer demand and infrastructure investment. 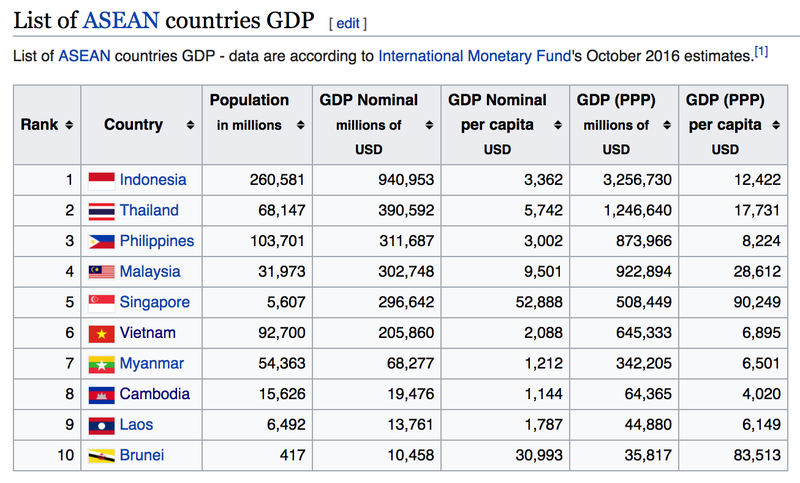 By 2020, Indonesia will have already become a nation with GDP size exceeding $1 trillion, and by 2030, Indonesian GDP is projected to exceed $3.7 trillion. “This will significantly increase Indonesia’s global geopolitical influence as a leading emerging market, shaping international policymaking in global forums such as the G-20 and United Nations,” Biswas said. The initiative will help to accelerate the development of many inland Chinese provinces as well as accelerating the growth of the Greater Mekong Sub-region as a new global manufacturing hub, and will benefit many countries in Southeast and Central Asia.